During my recent travel to Bangkok, I stayed at the luxurious 5-star Dusit Thani Hotel. 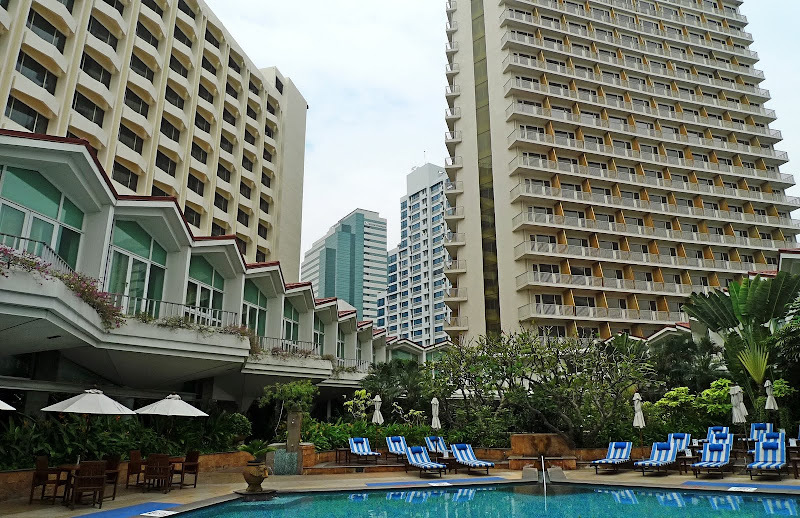 Located opposite the famous Lumpini Park, the hotel is adjacent to both Skytrain and Subway stations and within close proximity to major shopping and entertainment centres. 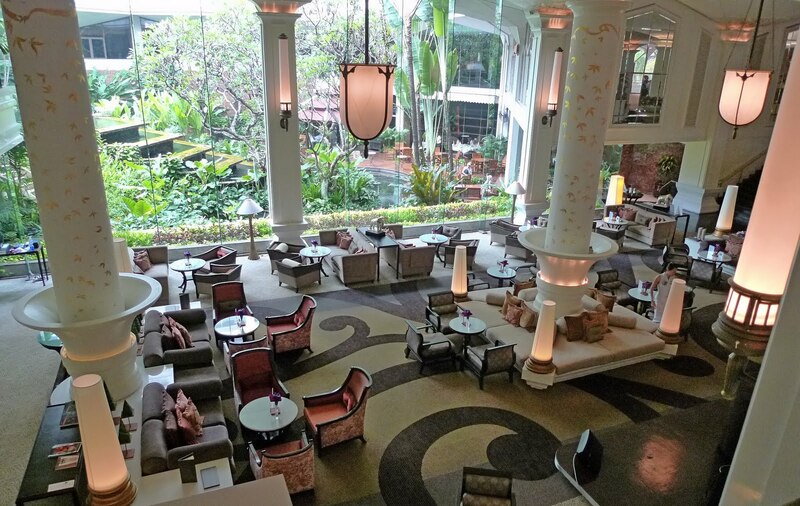 You may have seen my Dusit Grand Room which I blogged about in a previous post, so now let me show you the rest of the hotel. This is the view from my room's balcony after I woke up early one morning. The sky sure looked misty. Wonder if it's the morning mist or the pollution in Bangkok city? Can you see the Lumpini Park with the statue (bottom left) and the lake? No? You can click on the picture above for wallpaper size. Or let me just magnify for you below. 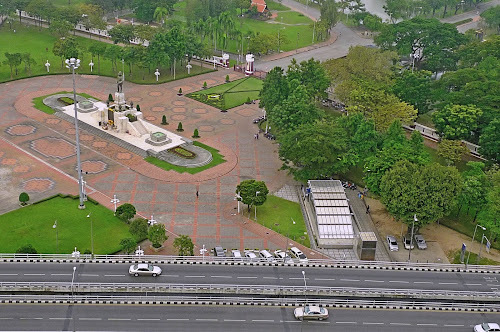 That's Lumpini Park with the statue of King Rama VI. More about this in future posts. 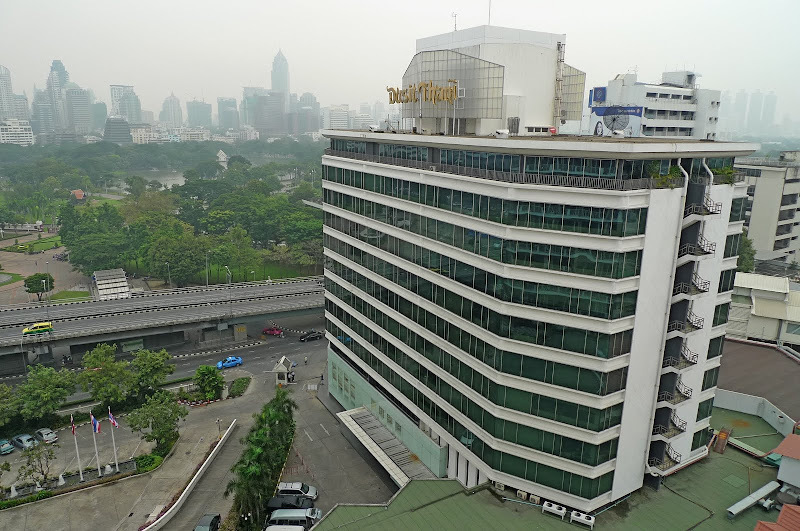 Opposite my hotel building is the Dusit Thani main headquarters which manage their hotel operations worldwide. More views of tall buildings from the balcony. 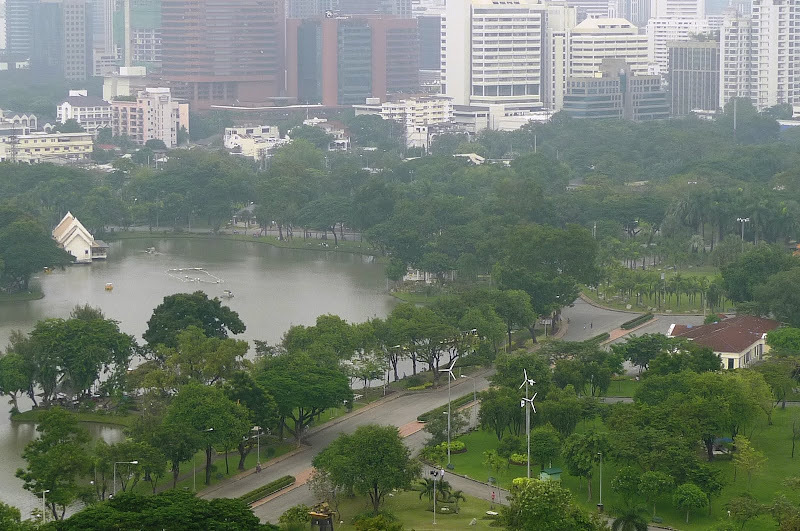 And the vast lake of Lumpini Park. 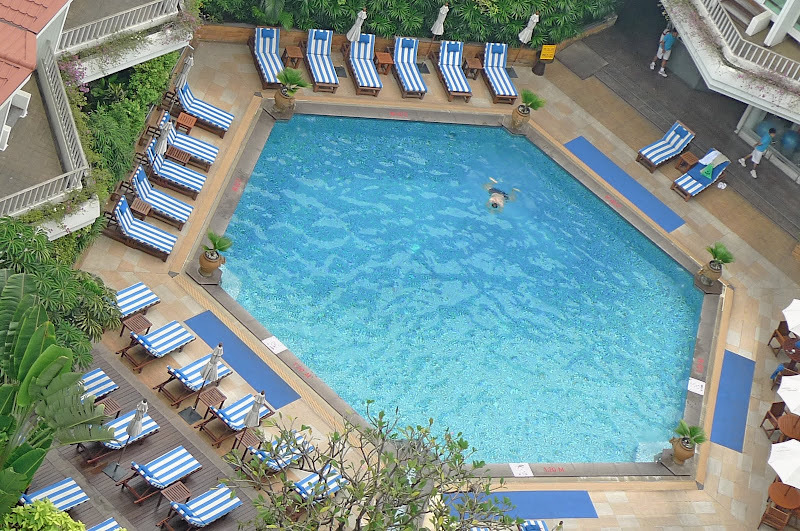 This is the view of the hexagonal swimming pool from my room. More photos of the swimming pool later. Meantime, here's the hotel's lobby lounge. 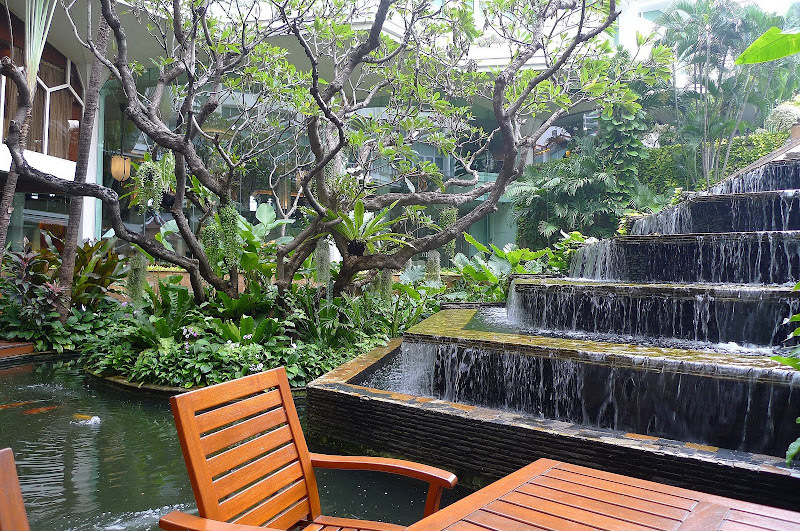 I like the relaxed feel of the lounge especially with the nice scenery outside! 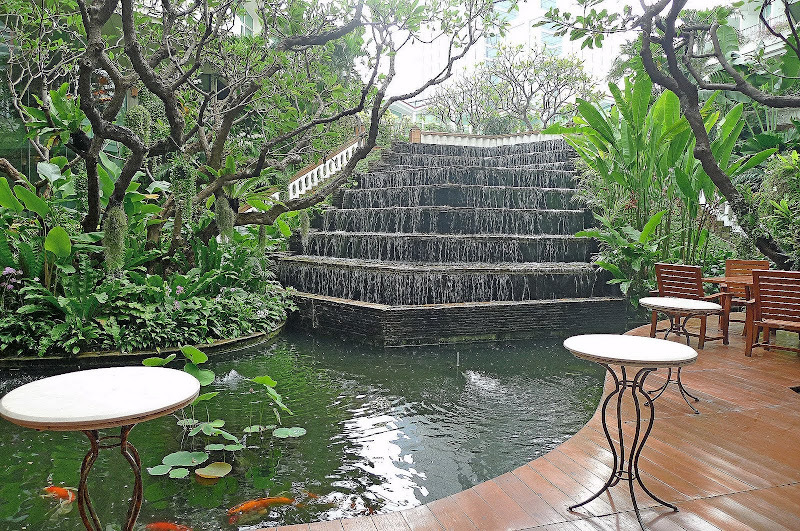 I could sit out here all day enjoying the relaxing ambience of the koi pond and artificial mini waterfall surrounded by greeneries. I think I'll just let the photos speak for themselves. 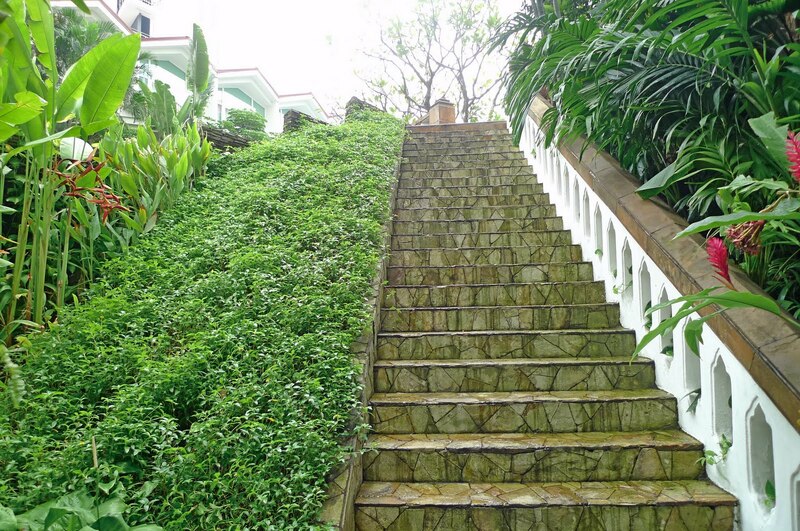 This staircase leads up to the swimming pool. Mini water fountains can be seen on the way up. 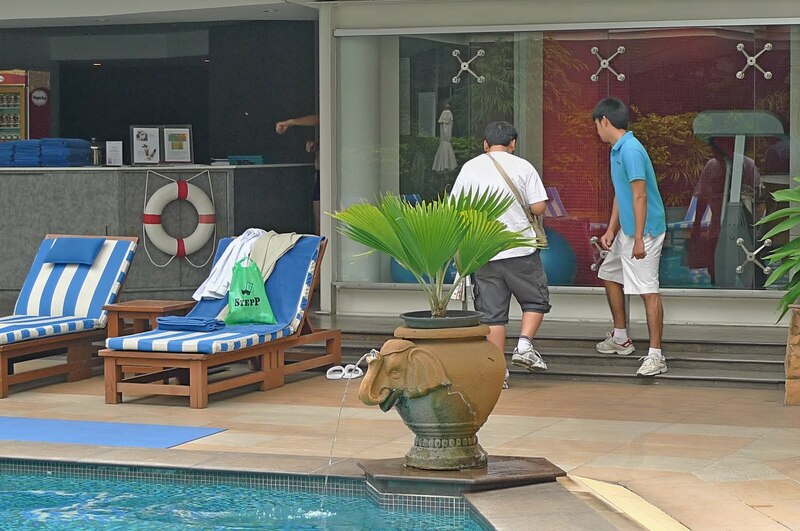 This is the swimming pool area. 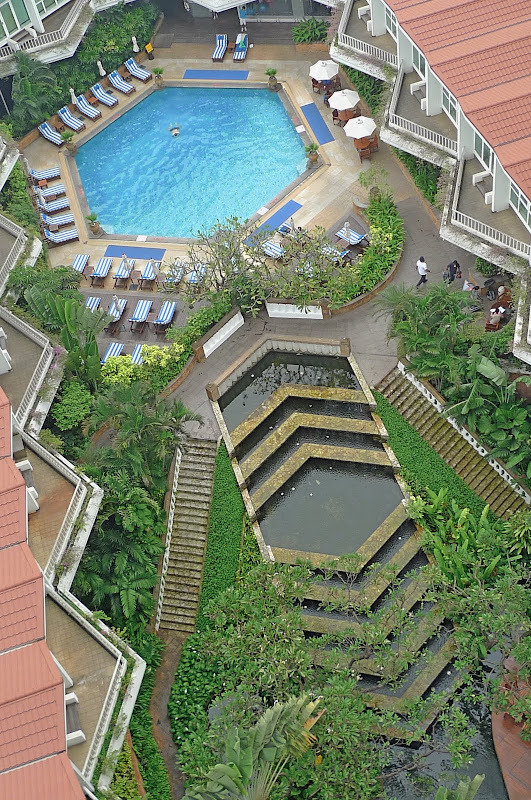 The hexagon-shaped pool as seen from the top. Can you see that cute elephant shooting out water? There are six of them, one at every corner of the pool. Views of the hotel buildings and other tall buildings in the background from the pool. 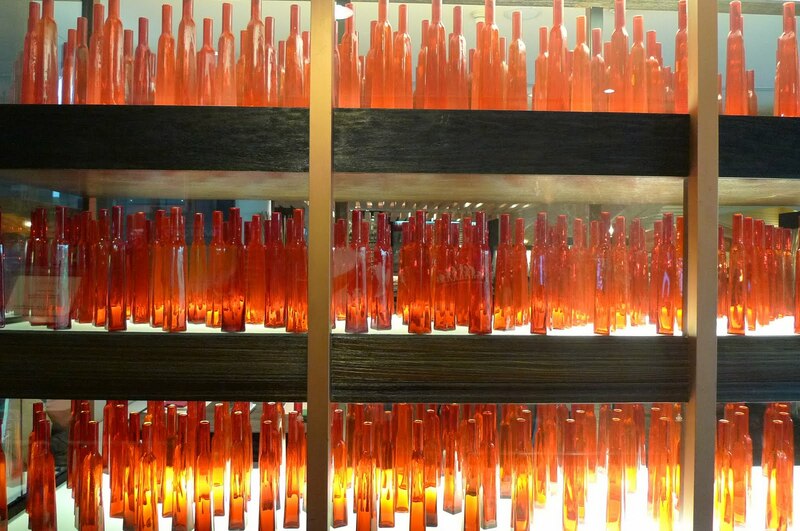 I did not take many photos of the hotel interior but these bottles caught my attention. And of course there is the hotel's luxurious and beautiful spa but I shall leave that for another post. 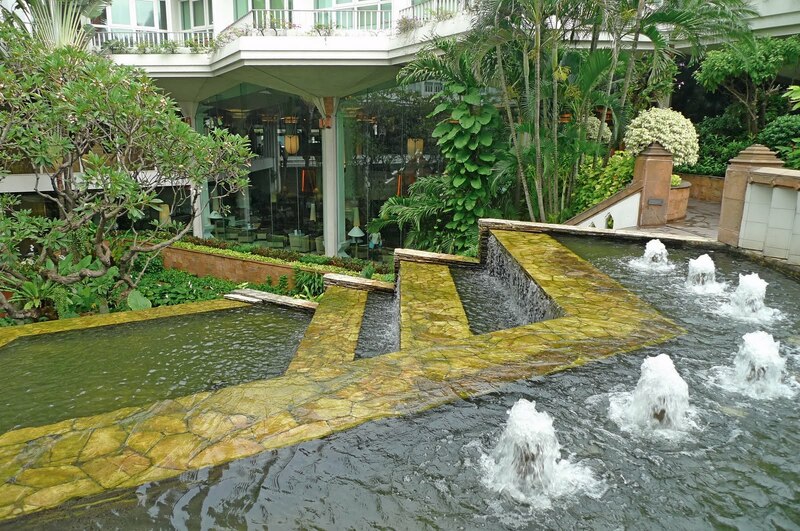 Did you know a lot of famous celebrities stayed in Dusit Thani before? 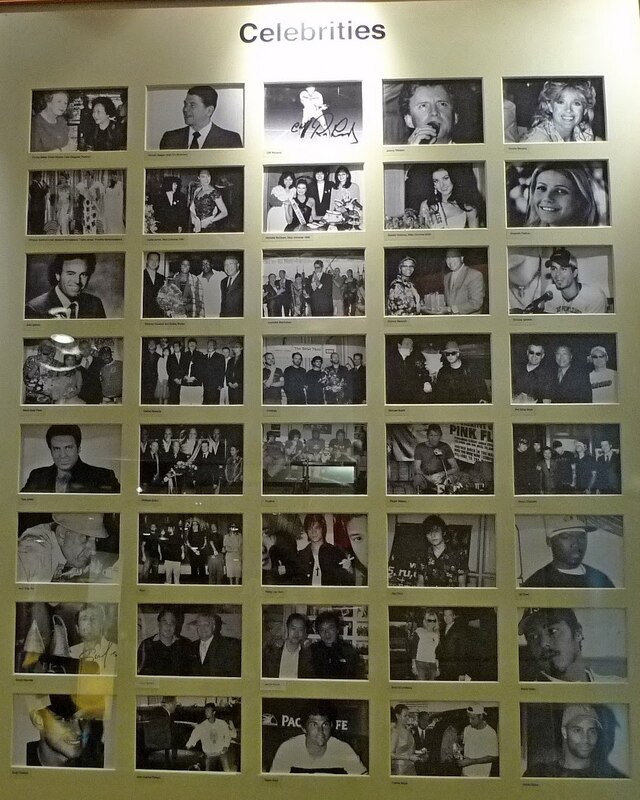 I came across this board displaying photos of celebrities who had stayed in this hotel before. Click on the picture below to enlarge it. Who do you see? The first one I saw was Gwyneth Paltrow and below her, Enrique Iglesias! Talking about meeting up with Enrique, haha! Oh, even Enrique's dad, Julio is there too! During my second night stay, I heard that superstar Gong Li had just checked into the hotel! Damn! I missed getting an autograph from her! Oh well, that's OK. If it had been Mariah Carey, I would have camped at the lobby near the lifts all day! Haha! The swimming pool area is awesome, love it! And it looks kinda cold there... how was the weather? wow..such a beauty..love the shape of the pool! haha! so cute la the elephant!! haha shooting out water! Wow Foong, breath-taking pics here! After seeing these, I would definitely want to visit one day! wow..the hotel is very big and classy! But the most acclaimed hotel in BKK is Mandarin Oriental. tekkaus, not sure if the shape of the swimming pool has anything to do with feng shui, haha! The scenery so zen? LOL! Yes, I love it! monica, yeah I like Gong Li too! Too bad didn't manage to catch her during my stay there! 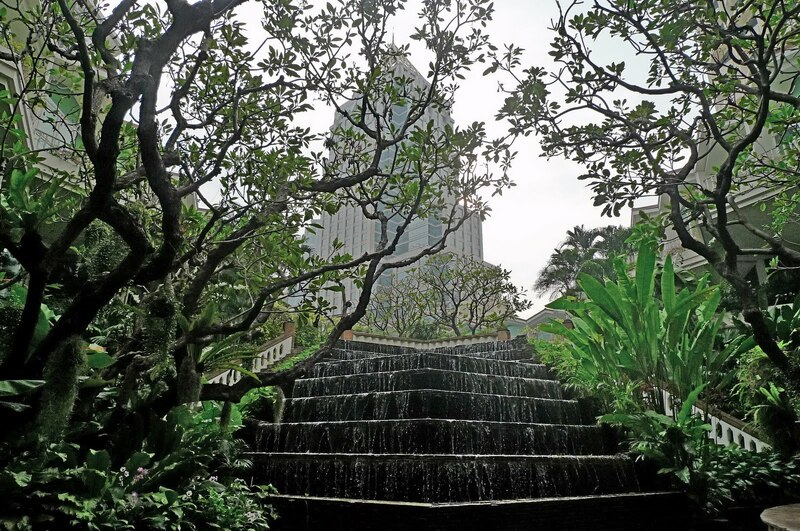 caroline ng, yeah the lounge and the waterfall all very nice right? I am not kidding, if it's MC, I would really camp there! Haha! 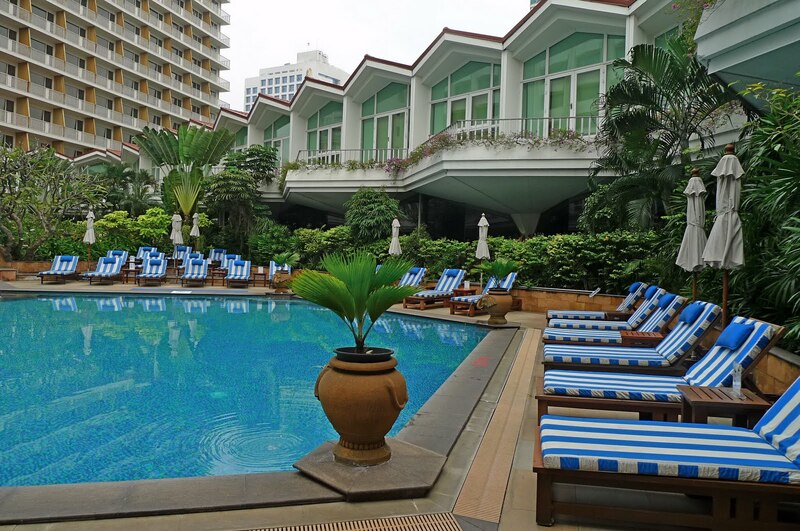 khengsiong, I would love to stay in Mandarin Oriental in Bangkok if it's free! Haha! 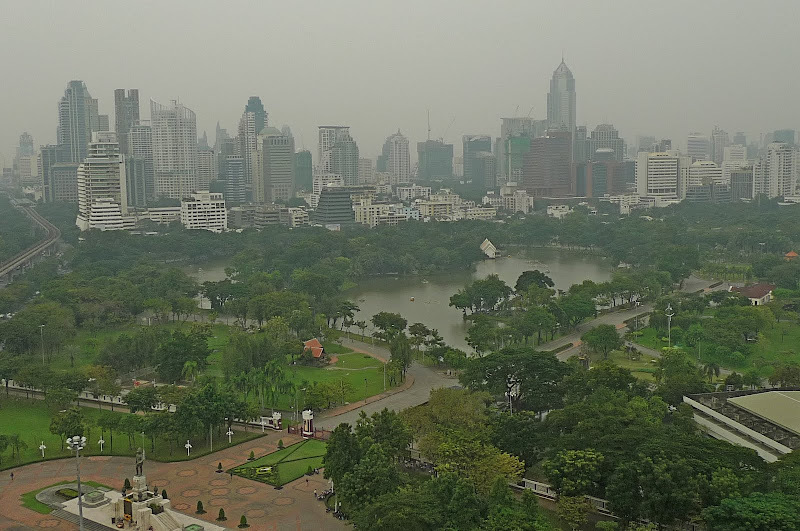 wooooh, very nice view of the lumpini park from your hotel room..
and the lounge is very nice!! 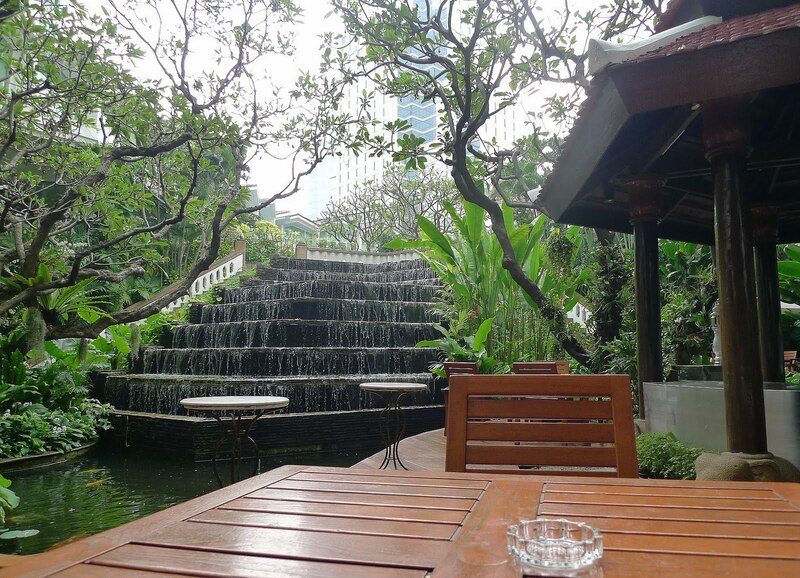 i like all the settings and lanscaping, really feel so relax to see such nature..
SK, yeah nice view of Lumpini Park and nice lounge indeed! Yes, I went for the spa treatment. Why would my photo be on the celebrities billboard? I am not a celebrity! LOL! Got plenty of water around the hotel fengshui I guess? haha. Lovely hotel tQ for the virtual tour. Weeweechu a a Merry Xmas & a Happy New Year. your blog is always about holidays and holidays.. so envious! haha.. i always want holidays too! You have a great view of the city skyline from your hotel. Wow! Nice place. I thought that Dusit Thani can only be found here in the Philippines. 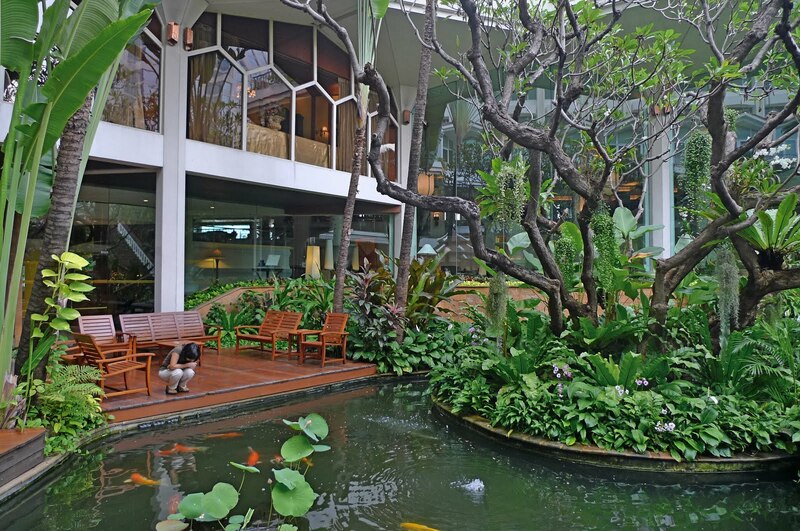 There are also other Dusit Thani hotels in other parts of the world. great view is always a plus factor for me when it comes to hotels. 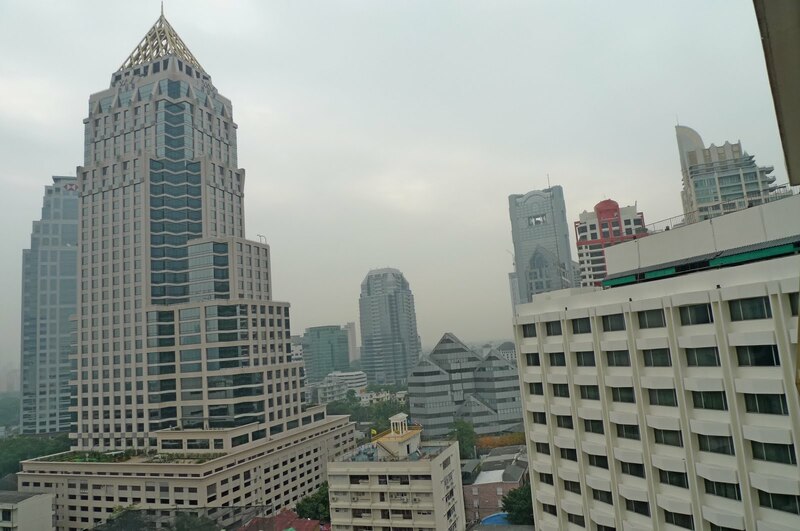 Nice Blog, and we also love Bangkok. I will put you on my blogrol. bananaz, not sure if it's feng shui or not haha! ishmael, Oh! There's a Dusit Thani in Philippines too? But I won't stay there if I go Philippines. Too expensive for me! So, what hotel will you be staying here in Manila?